If there is a slider between 1 I LOVE PODCASTING and 10 is I HATE Podcasting, where are you? Are you feeling like a three? Seven? Lets us know and WHY you are feeling the way you are. If you want to record something and attach it be sure to put September question in the subject line and send it to dave “at” schoolofpodcasting.com (trying to avoid spam with the spelling), or go to our Contact page for more options. I need your answer by 9/21/18. Libsyn.com is a great solution for the independent podcasters (with pricing starting at $5 per month, with the most popular plans being $15 or $20 a month). This week I spent time at Content Marketing World (an event with 4000+ attendees) where most of the clients were companies (not individuals) who were looking for enterprise solutions (and in some cases used by marketing agencies or networks). Here are some of the features of LibsynPro. You can have different levels of access for multiple users. You can also have a private podcast. 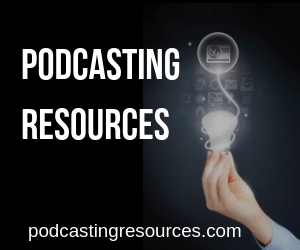 This means you can set up a podcast for your company, add the users, and have an app created for your podcast. This also gives you the ability to see if your employees are listening to episodes, and in the event, you terminate an employee you can remove their access to any files. Who are the Podcast Evangelists? ( I know both Cliff Ravenscraft and John Lee Dumas pivoted their marketing to reach a wider audience) but what is a significant number of podcast evangelists? Keep in mind, this is through Michael's Lens.podcasting was dead Which will be different than YOUR Lens. It reminds me a bit of when Leo Laporte had said Podcasting wasn't' growing, it was too hard, and that lead to people saying Leo Laporte said that podcasting was dead ( see https://mashable.com/2009/10/03/leo-laporte-video/#9DEMgJjZmaqs ). If you talk to Rob Walch, Todd Cochran or Rob Greenlee, I think they will report that podcast consumption is up (it may not be up in Michael's Niche). I just came back from Podcast MidAtlantic 2018. Were around 100 podcasters got together for a few days to talk podcasting. I met some great folks who will be guests in the future. Matthew Passey did a cool presentation about promoting your show and turned me on to Blip Billboards where you can get your show on an electronic billboard for $10 a day. A blip is anywhere from 7.5 to 10 seconds on a rotating billboard. The cost depends on the locations and times you choose. Any budget is fair game. Be Yourself and don't rip off other shows. Words are fun. Picking the right words can trigger emotions in your audience. 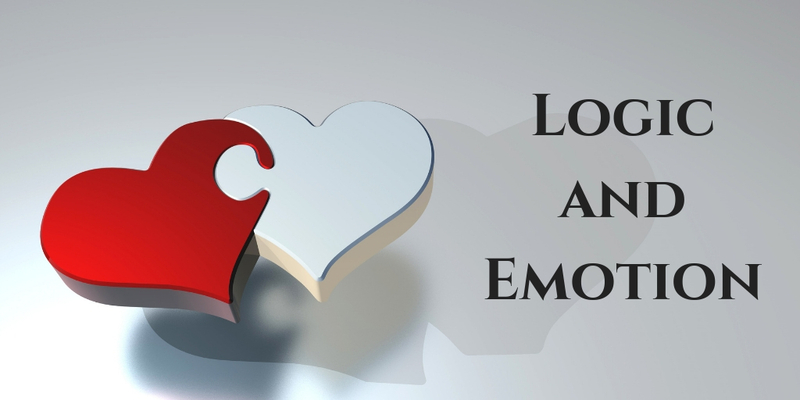 When you combine logic with emotions, it may inspire your audience to tell their friends. Today I play with words to show how different words can trigger more emotions. If you get emotional, your audience LIKES YOU and give you grief. See this video of Vince Gill singing at the funeral of George Jones. At the end, the audience (lead by Garth Brooks) stands to show their support as Vince starts to slowly lose the ability to sing. Watch the video and see how you feel at the end of the song. Notice the audience was rooting for him, so if you share something personal your audience is pulling for you. Don't forget to use images on your show notes as those can trigger emotions as well. Hey Dave, I never said podcasting was dead. If that were the case our company would not be producing two weekly shows. It just doesn’t have a place in Social Media Examiner’s content mix. Your chat about choosing words that evoke emotion was interesting for me, as I like to choose my words carefully for both my podcasts and my blog. I hadn’t before thought about trying to evoke any emotion, but more to inform in an easy-to-listen-to manner. As often happens when I hear your podcasts, I’m at that time working on something to which I can apply your advice. I was, last night, ready to record my speaking portions and edit a podcast about the sacrament of communion for those on a gluten free diet. Earlier in the evening I chaired a meeting of our local celiac support group, and out of the blue, someone stopped me before I left to ask if I knew any solutions for this exact problem. She didn’t know I had researched it, and spoken to a guest about it. I felt good that I could impart some useful information to her, but what was more impactful on me was her emotional investment in the issue.